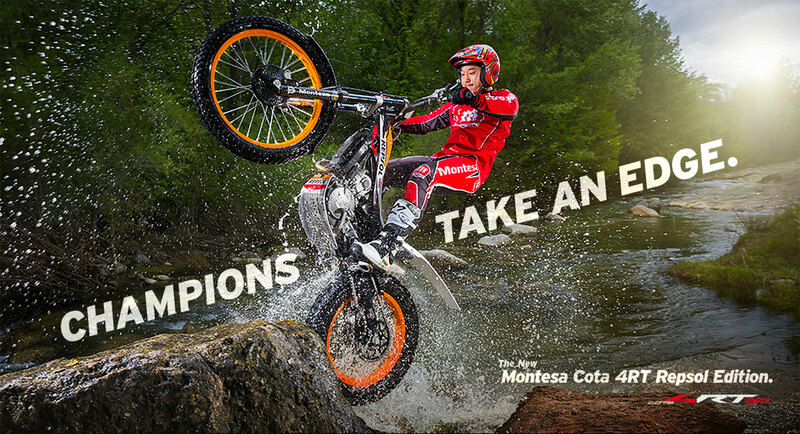 The Montesa Honda 4RT is the result of a partnership between Montesa and Honda HRC, combining the pedigree of a European World Championship trials machine made in Barcelona Spain with state of the art engineering and the renowned reliability of a Honda. The collaboration has resulted in seven world championships. The lessons learned racing have been incorporated into a trials bike for everyone from top experts to the weekend warrior. Trials has never been as popular in the United States as it is in Europe and most of the top European trails machines are never imported into this country or imported in very limited numbers. 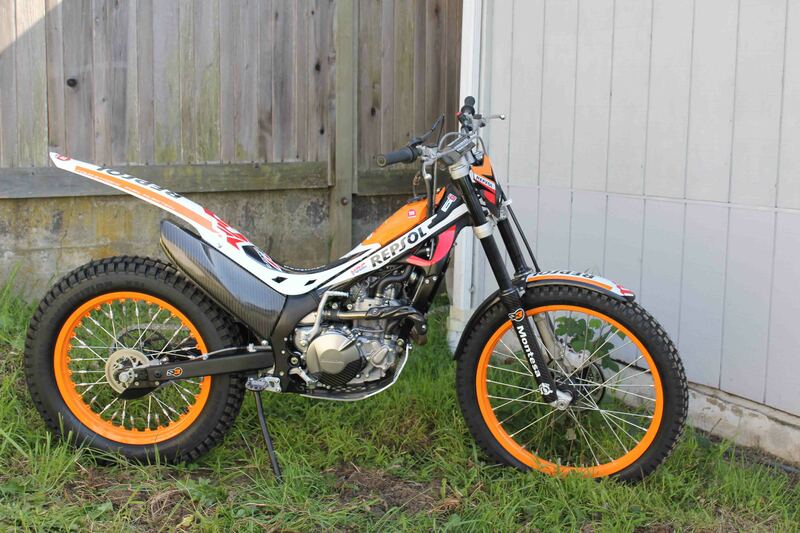 Why then is American Honda importing this very expensive and modern four stroke trials bike? 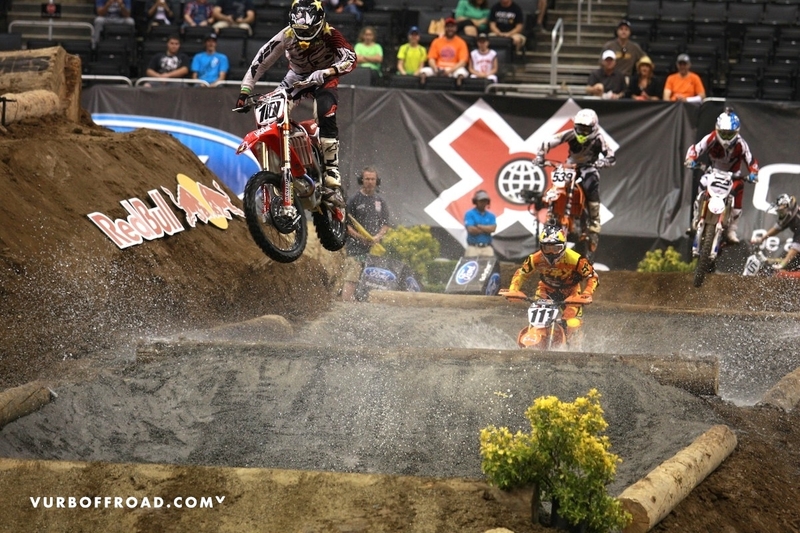 With the new-found popularity of extreme racing and Enduro X, the American public is being exposed to trials type obstacles. Indeed, the best American trials riders like Cody Webb switched from competing at the very top level in the national observed trials series (2010 AMA/NATC National Trials Champion) to Enduro X and extreme enduro racing. Extreme racing is where the money and fame is for someone with Cody’s natural abilities and dedication to racing. In his day, Cody’s father, Kip, was a top level motocross racer and observed trials champion. 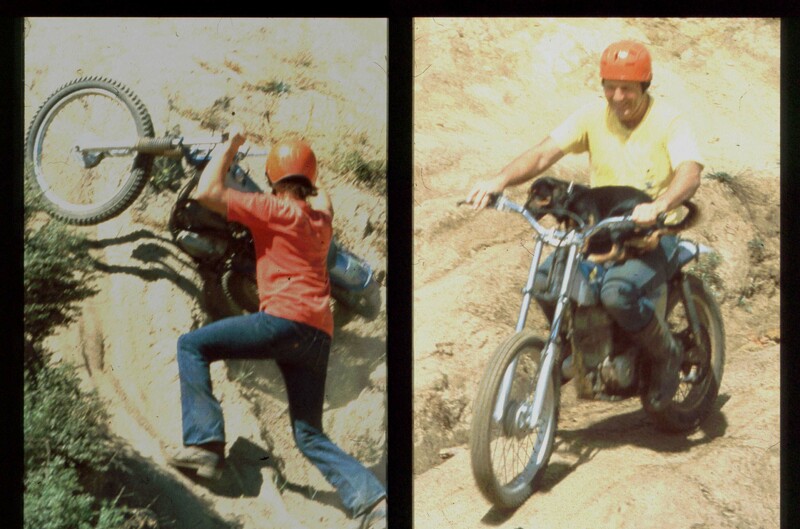 He taught Cody how to ride extremely difficult trials sections when he was still a very young rider. As Cody got older his father became his coach and minder throughout a successful trials career. 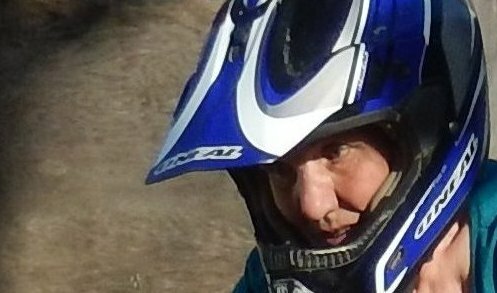 It is obvious that Cody has inherited his father’s aggressive style of riding and taken it to new heights as an Extreme Enduro racer (he still competes in an occasional national level trials event and usually wins). Maybe Americans are beginning to realize that trials is not just “an old man’s sport”. 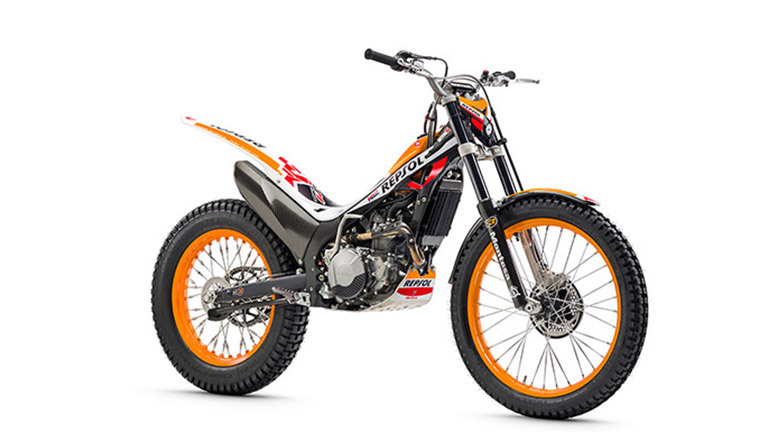 Has this exposure inspired American Honda to import a few of its 2014 Montesa/Honda Cota 4RT Repsol trials machines into the United States? The word is that Honda only imported about forty-seven bikes. Maybe they are testing the waters and hoping for a viable U.S. market in the future. 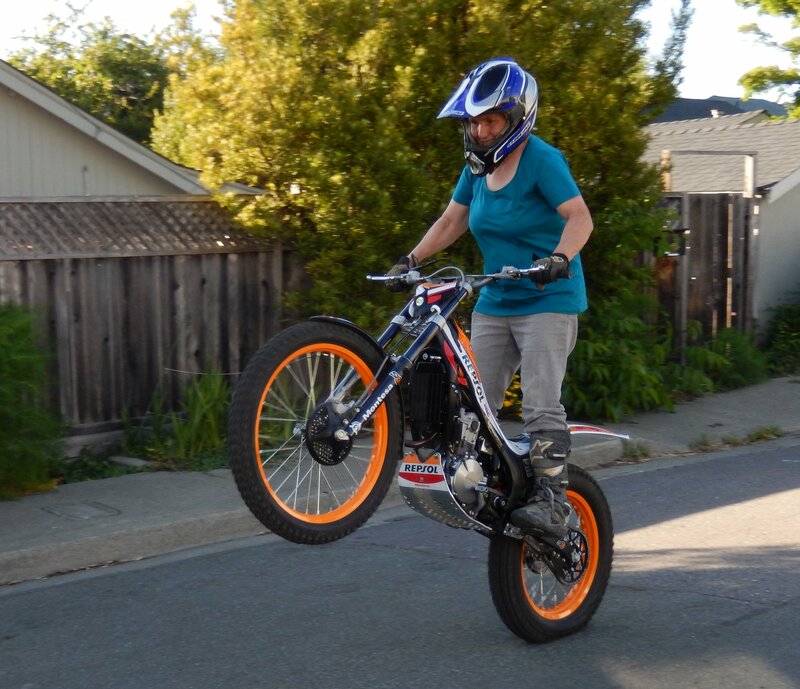 Honda has historically concentrated mostly on 4-stroke trials bikes. Although Honda produced and imported 4-strokes in the eighties and nineties, most competitive trails machines of the day were European two strokes. 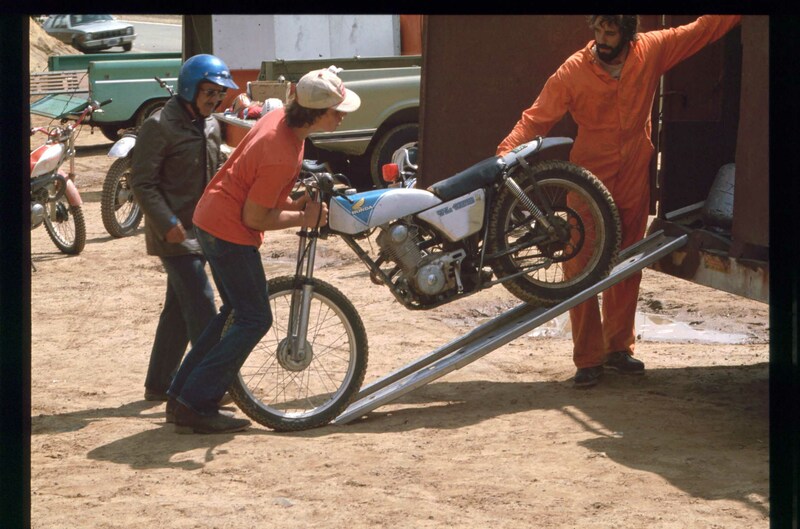 Early Honda production 4-stroke trials bikes were considered somewhat overweight with more than a touch of the jolting on/off feel that you get when you blip the throttle. 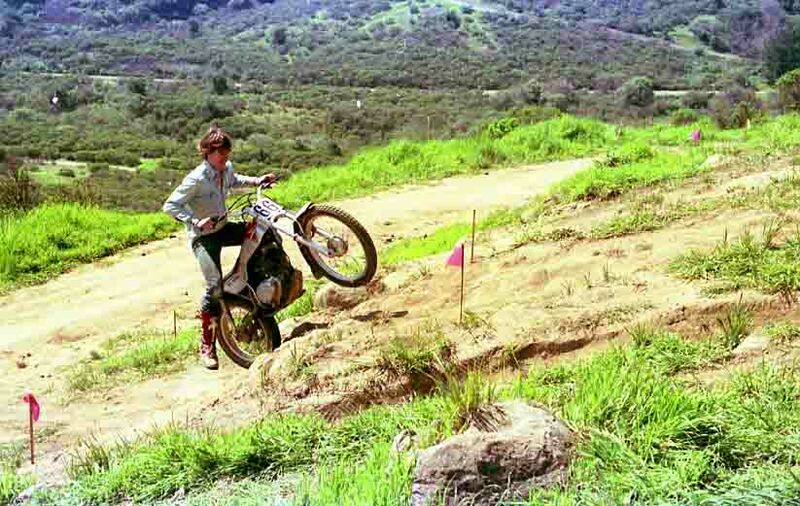 Honda trials riders in those days learned to be very smooth and precise. 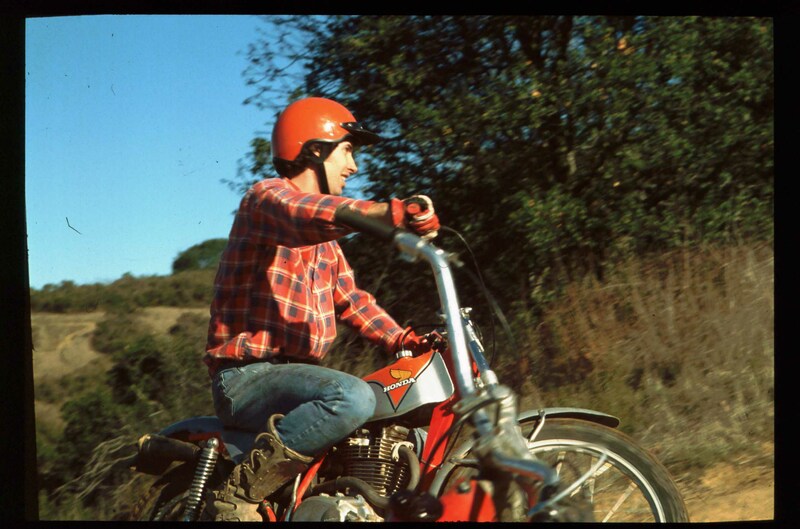 The other half of the equation; Montesa was created in 1944 by Pedro Permanyer and Francisco Xavier “Paco” Bultó and it quickly became a trails icon. 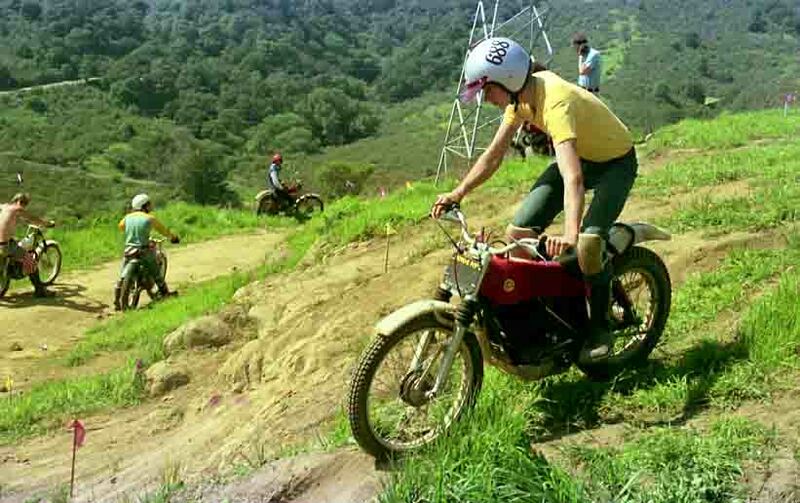 By 1981, economic problems in Spain left Montesa as the only major motorcycle manufacturer that remained in business, but Montesa still needed an influx of capital to survive. A loan from the government and shares sold to Honda helped keep production alive. Honda stockpiled the bikes and sold them of at a loss to create a viable market in Europe and thereby bypassing crippling tariffs. By 1985 the workforce had dwindled to a mere 152 employees. A year later Honda bought the majority of the family’s remaining shares. Honda then had an 85% holding and spent another $5 million on modifying and updating the factory. They would be built in Spain but Honda supported the research and development. 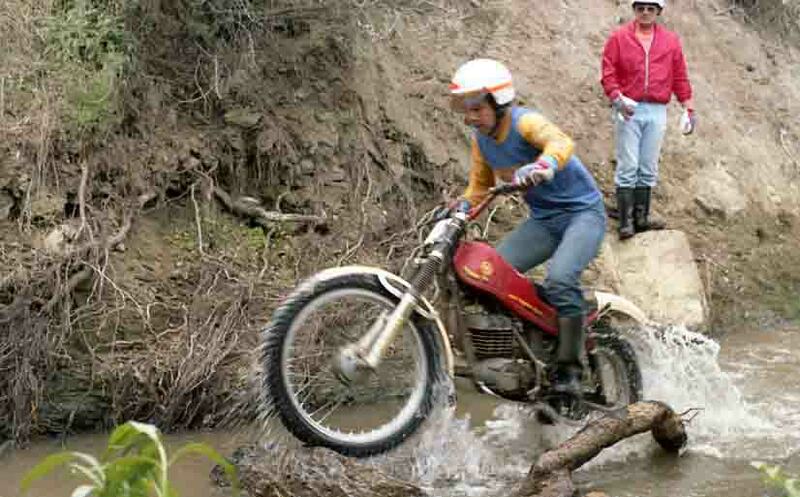 Montesa was active in World Trials competition throughout the 1980s and into the 1990s. 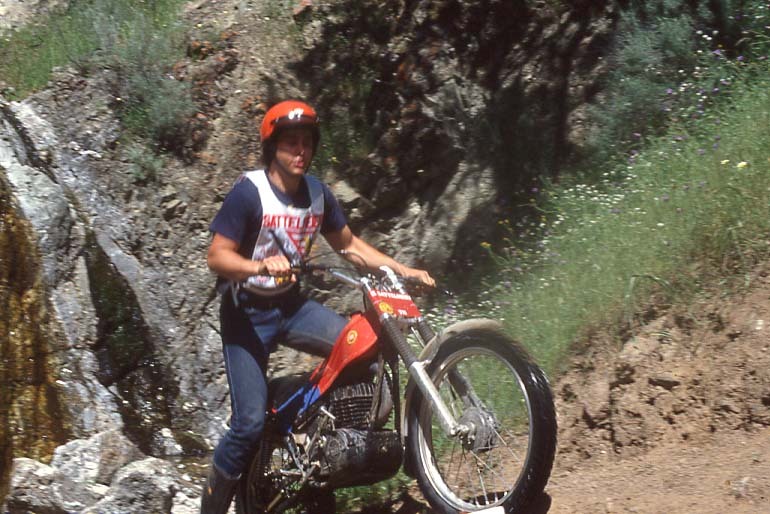 Even though they produced only one trials bike, the 2-stroke Montesa Cota, it was well received and such riders as Eddy Lejeune (3 time world trials champion) and Andrew Codina rode the bike. It was also a popular choice for local trials riders. 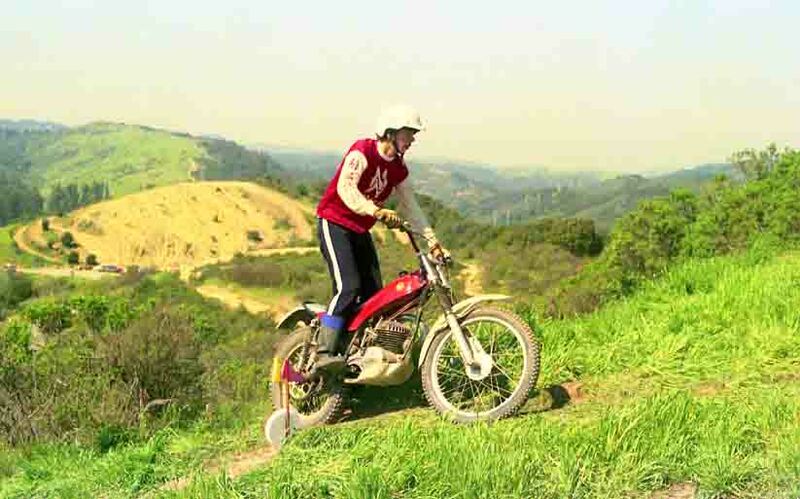 From the very beginning 4-stoke Honda trials bikes have also been popular with local club riders. They were first adapted to trials in 1959 and in the following years various models were revised for trials competition. In 1970 Honda created a separate racing company which later became Honda Racing Corporation (HFC). 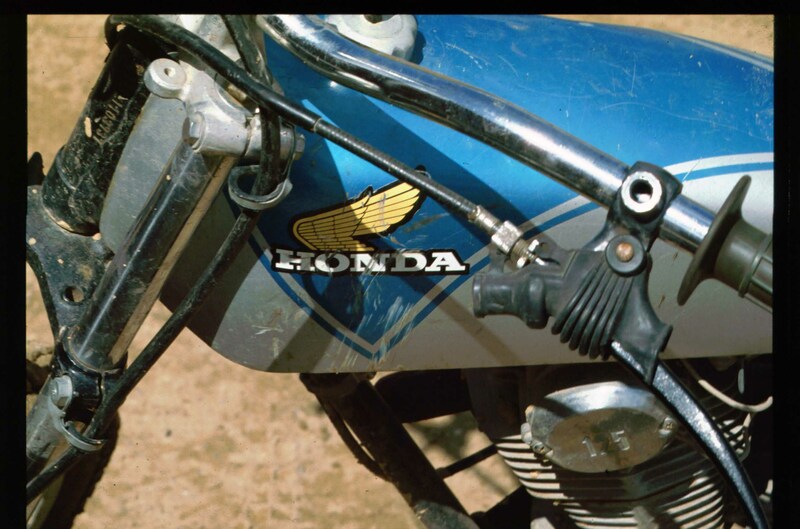 They helped develop an advanced works type bike for Honda while the TL 125 in 1973 and the TL 250 in 1975 were the first production Honda trials bikes sold to the public (both 4-strokes). 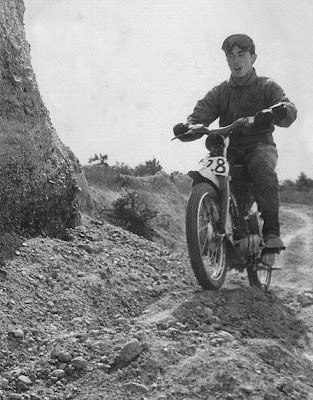 In the world of international trials competition, initially Great Britain dominated the series with Sammy Miller winning the world trials championship on a Bultaco in 1968. 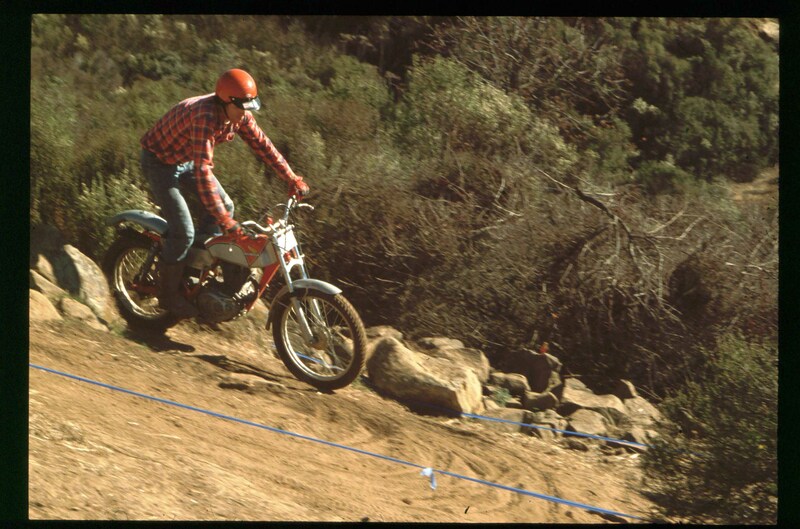 Next came Don Smith on a Montesa in 1969 and Sammy Miller won again in 1970. 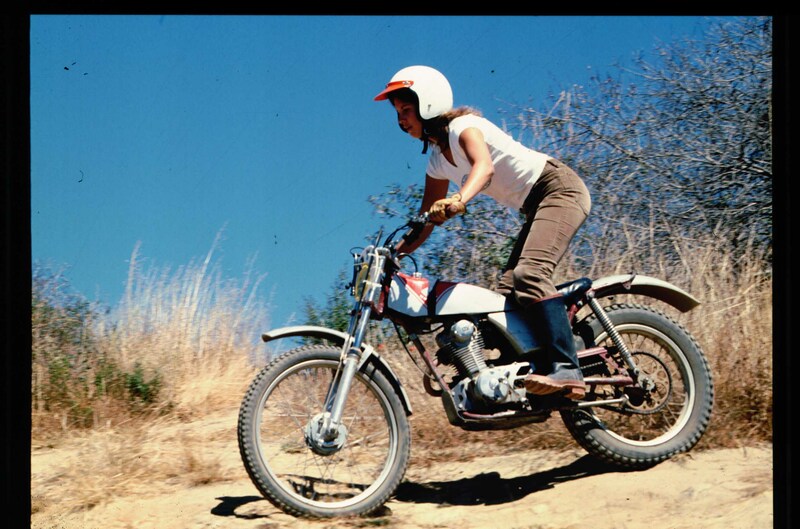 In 1974 Sammy Miller signed with Honda to ride and to develop a new, high tech competition model for Honda. The second prototype (a 250cc 4-stroke) had an alloy cylinder barrel with chromed bore, a four-valve head, and used a 24mm Keihin carburetor. It was ahead of its time even for a “semi-works type bike”. In 1982, 83, and 84 Eddy LeJeune won the world Trials Championship for Honda on a 4-stroke against a field of 2-strokes. He rode a RTL 360 which was essentially a works machine, while the bikes that Honda sold to the public were the popular TLRs and RTLs. 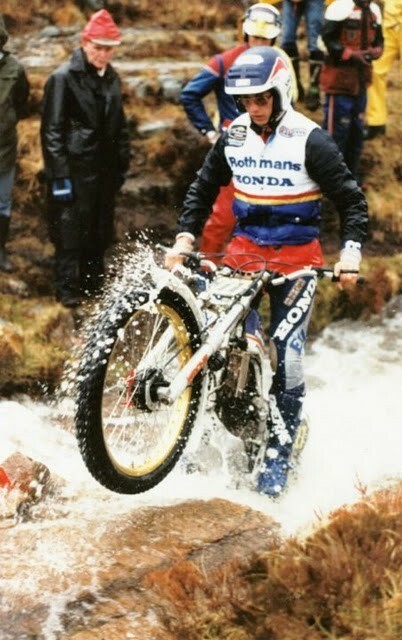 In 1988 Honda pulled out of trials for a few years. 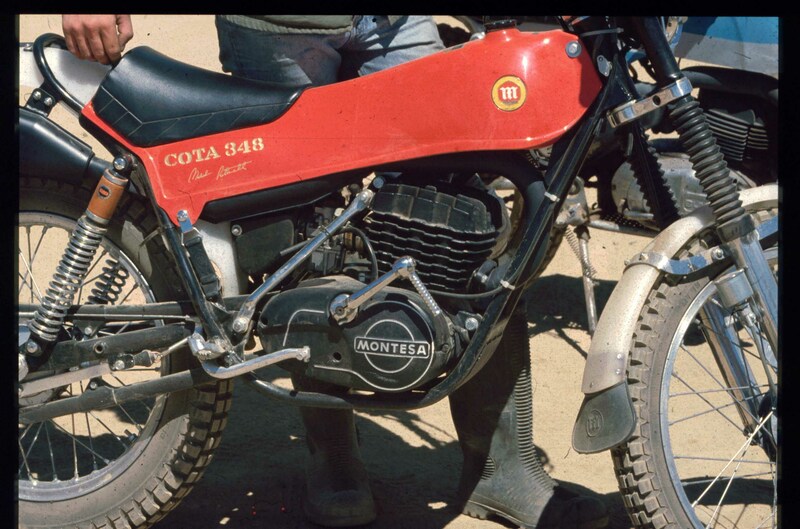 Then in 1992-1993 the liquid-cooled Cota 311 2-stroke was the last real Montesa produced in Spain. In 1994, a new 2 stroke model, the 314R, was introduced. 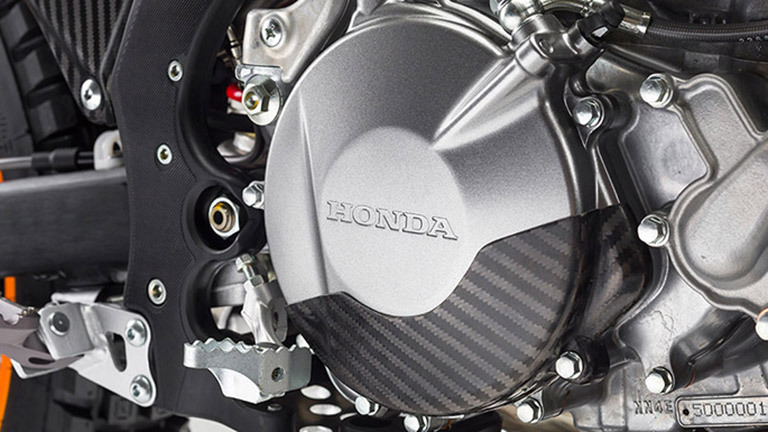 This model featured an HRC Honda powerplant with other components from Honda. 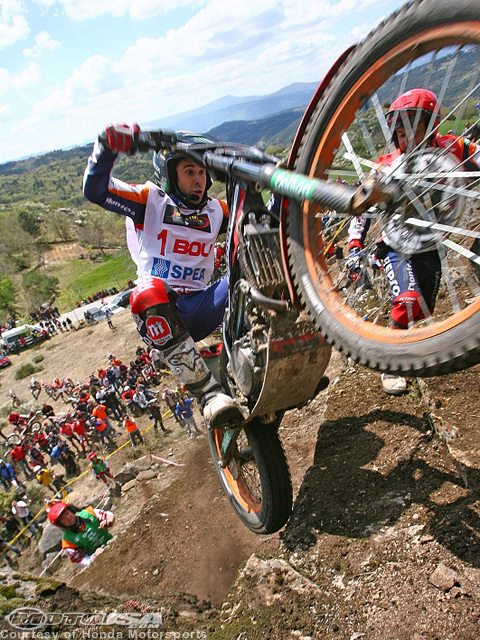 Montesa-mounted Marc Colomer won the World championship in 1996 and the more advanced 315R followed in 1997. The 2-stroke 315R was in production for 7 years. 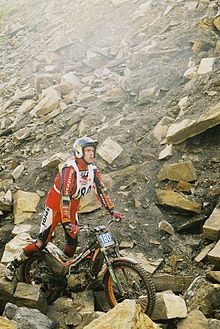 Dougie Lampkin came on board after winning the world championship on a Beta for three years. 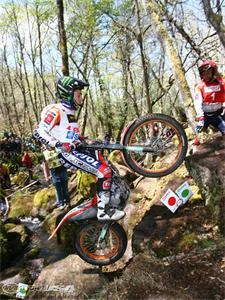 He then rode the Montesa/Honda to four more championships until 2004 when Takahisa Fujinami won on the bike. In 2005 the 315R was replaced by the technically advanced four-stroke Cota 4RT. 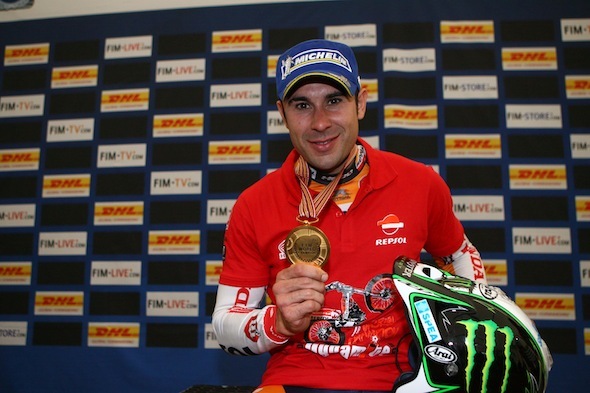 From 2007 until last year it has been Toni Bou on the Cota 4RT winning seven world championships and he is well on his way to an unprecedented 8th consecutive world championship. 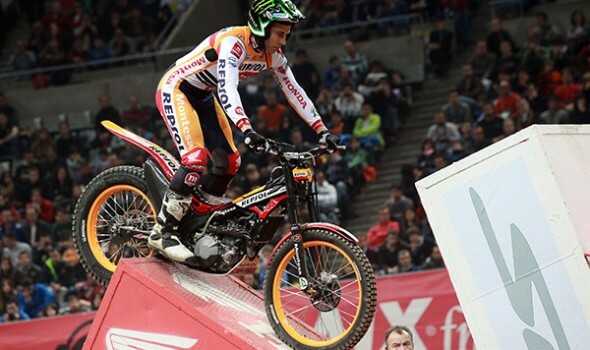 In other words Honda has dominated trials for the last fourteen years. Their bikes are that good and they sponsor the best riders. This four stroke is not your grandfather’s modern classic. 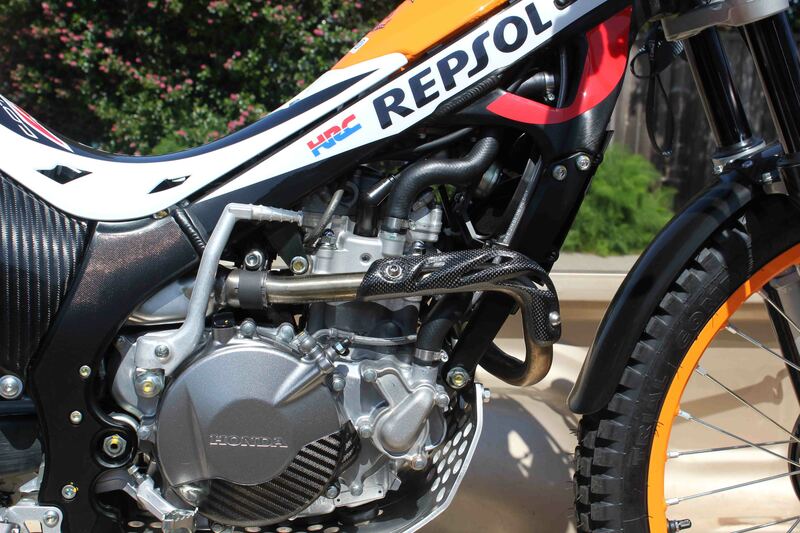 Honda has been racing and selling the wildly successful CRF 4-stroke off road and motocross models since 2002. Much of the innovation that came out of an almost unlimited budget for R&D to develop the CRF was incorporated into the Cota 4RT when it came out in 2005. It was updated in 2007 and again this year. Until you take into account the history of Honda trials bikes, it might appear that they cloned bits of the CRF engine cases into the 4RT. Maybe it goes both ways with each model borrowing bits and pieces from the other. Although they are totally different machines there are similarities in the design of the engines. Both the race and trials models use a light weight, compact unicam valve design and programmable fuel injection. There are separate systems for the engine oil and transmission oil. The Cota has the same light spunky feel. It is a smooth well balanced trials machine which, like its big brother the CRF, doesn’t feel much like a four stroke. The chassis design is also similar with an aluminum perimeter frame and aluminum swing arm. The suspension of the 260cc 4RT contains the latest high tech Showa componentry especially designed for the rigors of trials riding. Cartridge-type telescopic 39 mm fully modern and adjustable forks grace the front end. Altogether the end result is super smooth action. There is a pro link Showa shock in the back. Both font and back have almost seven inches of well-modulated travel. Like other modern trials bike, it has a hydraulic clutch and a fan behind the radiator to ensure that it doesn’t overheat. Braking is handled by a single 185mm disc gripped by a four-piston Braktec caliper in the front and a 150mm disc and two-piston caliper in the rear. Good light weight brakes are always welcome on a trials bike. Full of fuel, it weighs a scant 165.1 lbs. With a close ratio five speed gear box the power is easy to modulate. List price is a fairly lofty $8999. According to Honda’s advertising brochure, new for the Cota 4RT this year is a 260cc liquid-cooled, SOHC, 4-valve motor, with a programmable EFI (you can use your laptop to program it). The race replica comes with lightweight carbon fiber protective armor and a carbon fiber fork brace, lighter super wide adjustable pegs, Repsol headlight and the complete line of Repsol Team decals. 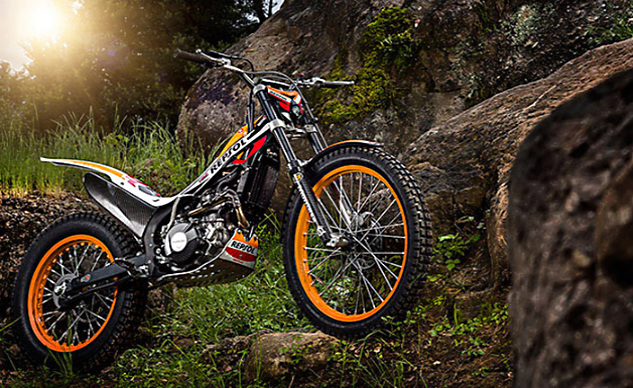 It looks just like the factory bike that Toni Bou rides. For all intense purposes it is. An expert can purchase one and ride it in a national trials event. 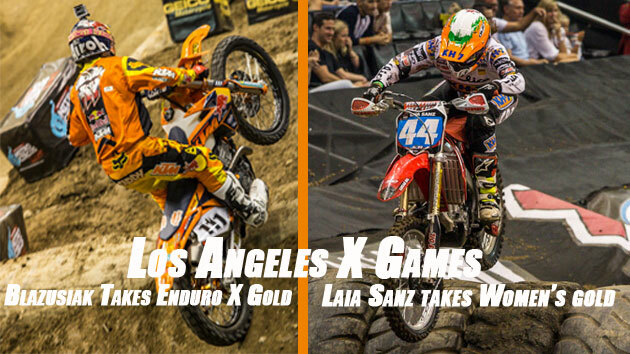 A novice can ride the same bike in a local trials and they would both be on competitive steeds and have a good time. It has a slender inconspicuous 2 quart gas tank tucked in between the frame tubes. It is said to have an easy to modulate fuel injected engine and a crankcase decompression system to reduce engine braking and make it feel more like a 2-stroke. Honda highlights the new lighter chassis, programmable ECU, brakes with a lighter more compact master cylinder, high tech Showa suspension and the quality manufacturing which gives Honda a reputation for reliability. The Repsol Edition is gorgeous with an orange, white and red color combination. The rims are orange and the rear tire is tubeless. This design eliminates pinch flats so the rider can use lower tire pressures for traction. There are no spoke holes to cover so they don’t leak and the spoke nibbles are located in the spokes themselves not on the rim. The rear section that houses the air box appears to be made out of plastic and bolts onto the main frame. The bike was imported without a spark arrester. I had to order one from Lewis Sport which had to be adapted to fit the bike. My incredibly talented welder is on speed dial. I can’t wait to ride the 4RT race replica and find out if it is really as good as it looks or at least to see whether it can enhance my rather rusty trials riding skills. The full test will have to wait until I have had more seat time (that is a joke because it has no seat). I have ridden it easily to break in the motor and the riding position feels totally natural standing on the pegs and holding onto the bars. 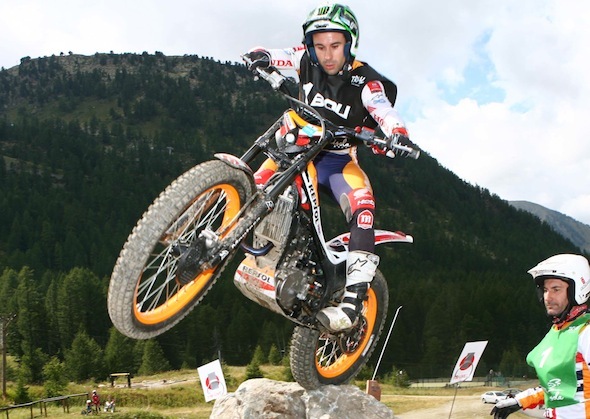 It is like it was custom made for me although I am certainly no Toni Bou. He is an unbelievably talented rider and the factory bike he rides looks just like the one you can purchase at your Honda dealer. I am sure that Bou has made changes to customize it for his specific needs, but basically he is riding the same bike. 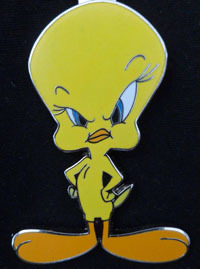 Check out the photographs of him in competition.